Here in the Southern Hemisphere Spring arrives today. 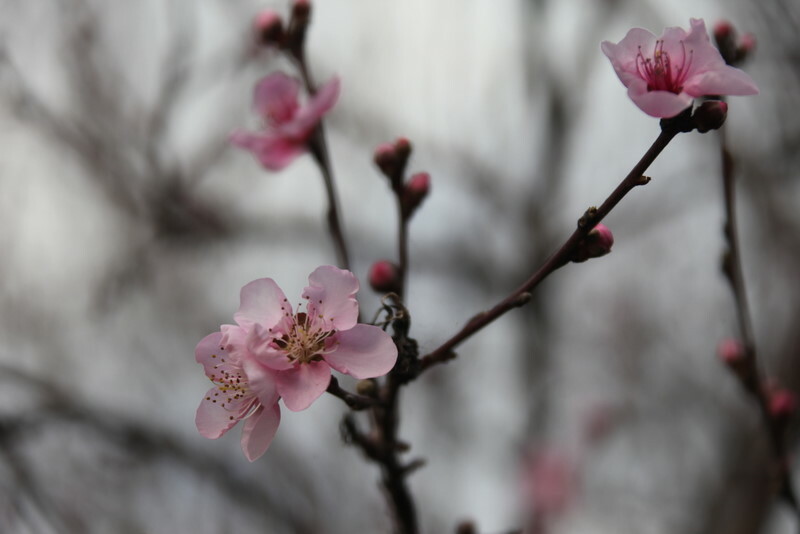 I am posting this photo of peach blossoms to celebrate the beginning of warmer weather here and to remind those in countries where leaves are beginning to change colour and fall that Spring will return six months from now. Taylors Lakes Primary School students could try to find this tree in our school yard. I think it grew after a student ate a peach and and left its stone in the garden bed. However it appeared, the tree looks beautiful now. Perhaps you know some poems or songs about Spring and would like to share them with us. It constantly amazes me that while travelling around the World Wide Web the turns you take can open doors which lead you on great adventures. While digging around in The Teaching Palette I stumbled across Quiz Revolution and had lots of fun making a quiz about Wool for our students. I hope you will enjoy it and try making some quizzes of your own. Today I’ve added this photo of a cross-bred sheep which I took on a visit to a Finley, New South Wales farm earlier this year. He or she, I can’t tell from the photo, grew up as a pet. 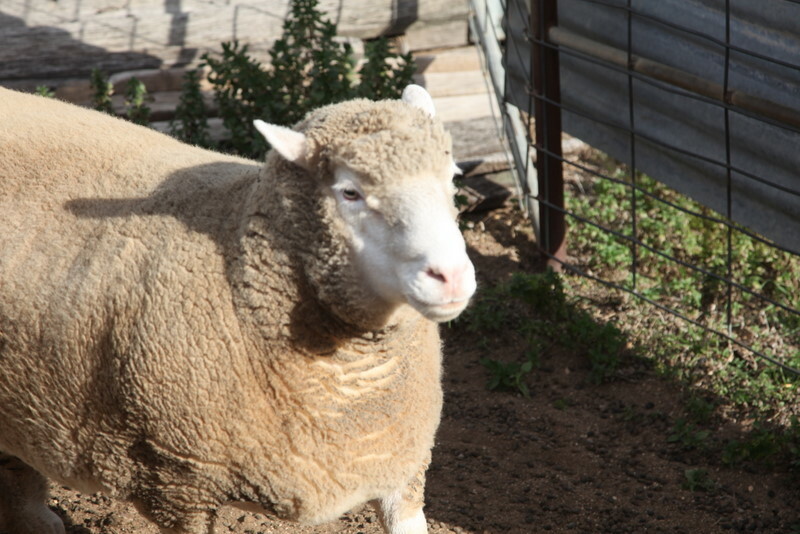 As a lamb it was fed milk from a bottle and now it eats grass in the sheep yards. Although it was used to people being close by, the sheep still seemed a little worried. What do you think he/she was thinking? And why post sheep photos on an Art Blog? We are finding that wool, when washed and dyed, has many different uses. What have you made from wool? Yesterday we had a foggy start to the day in Melbourne and moisture drops hung on the plants which are beginning to bud with Spring officially only eleven days away. I captured this spider web neatly constucted between the branches of an hibiscus bush. 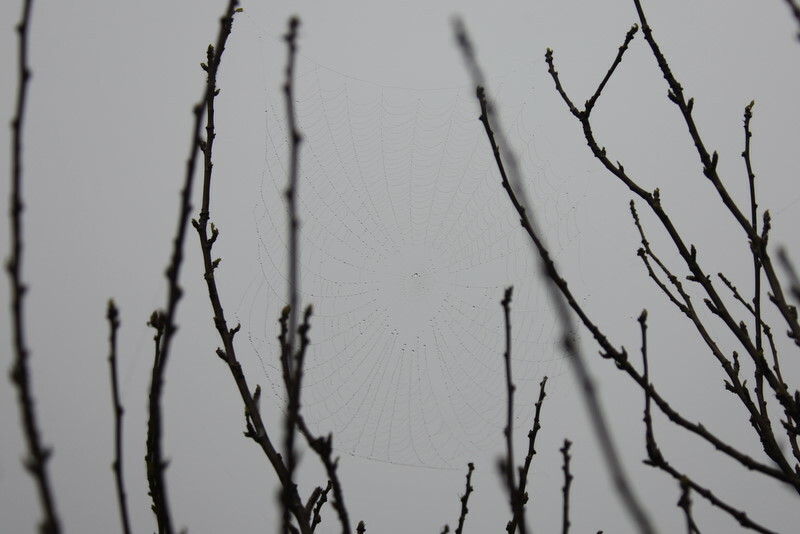 You’ll need to look closely to find the intricate pattern and weaving skill of the spider which had, I imagine, found a safe place elsewhere on such a cold morning. 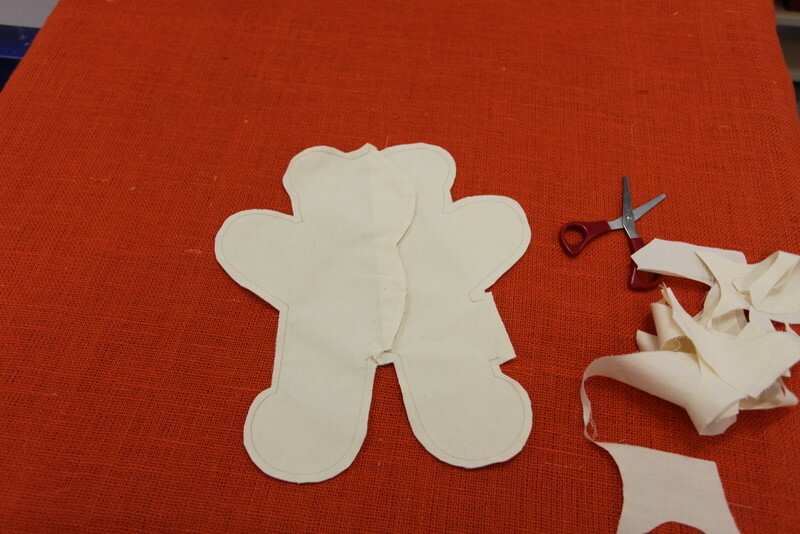 This year our Grade 6 students are making Calico Teddy Bears. 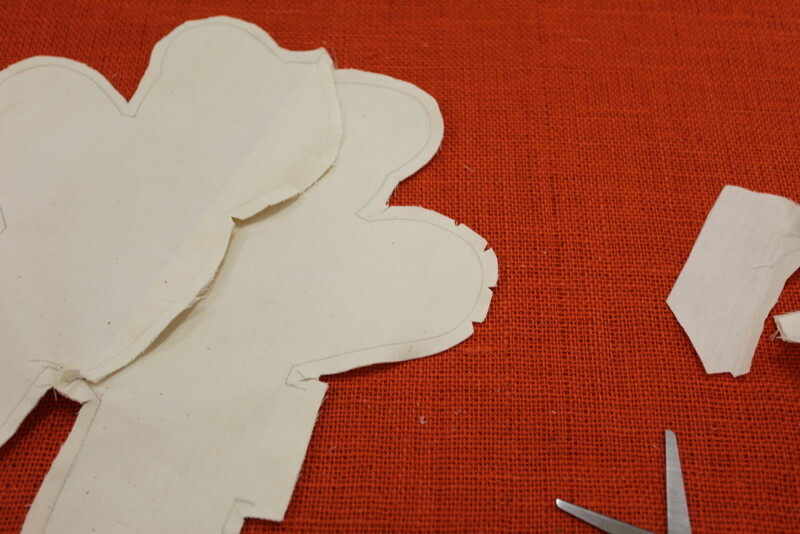 We are lucky to be starting with a Teddy Bear blank from Zart Art in Box Hill. 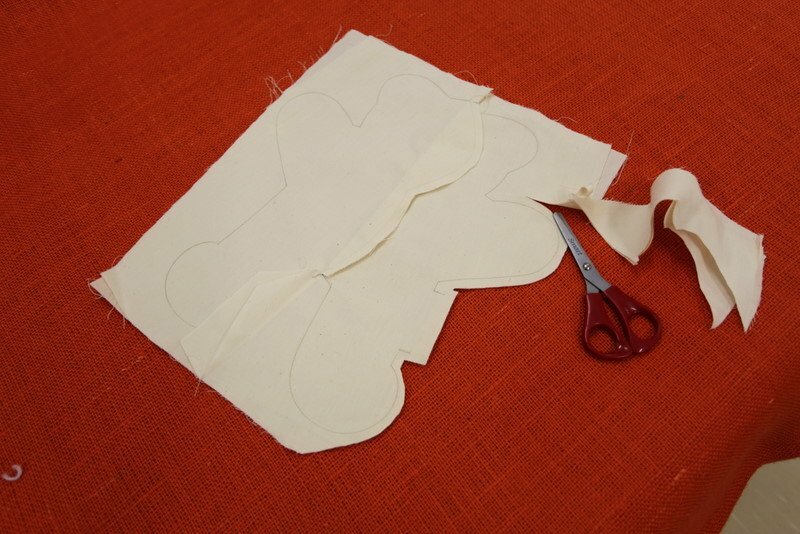 All we need to do is carefully cut around the bear outline and clip the corners and curves before turning it inside out, dyeing and /or painting, stuffing, sewing the small opening and dressing it. An idea of a completed bear can be found on the Zart website.We should have some very handsome and attractive bears with wonderful personalities by the end of Term 3. Our Grade One and Two students have been looking at wool. From raw wool, which they thought smelled terrible, to soft, washed and colourfully dyed Merino wool tops, we explored, looked and played. When we began to create a ball we found that the wool stuck together naturally. 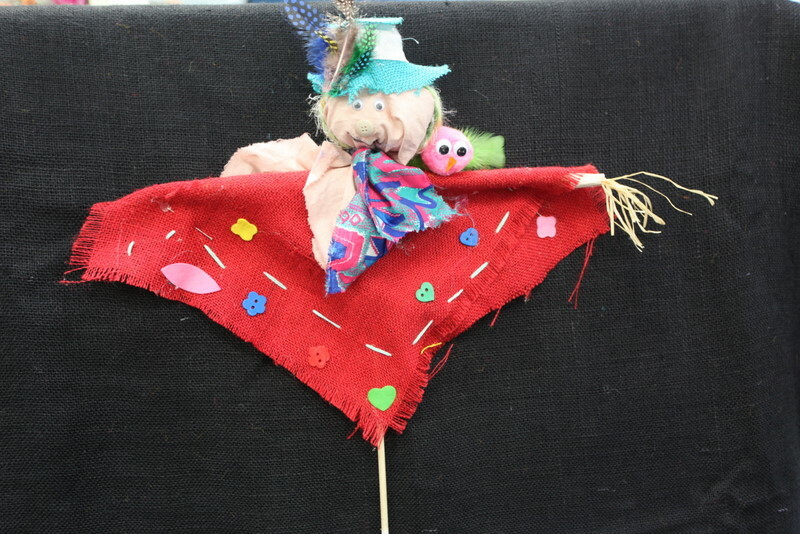 But, to make it stronger, we wound and tied it with lots of threads before adding a smaller ball for the head then sticks for legs, joggle eyes and felt ears. Finally very individual sheep appeared and today they went home with the children to greener pastures. 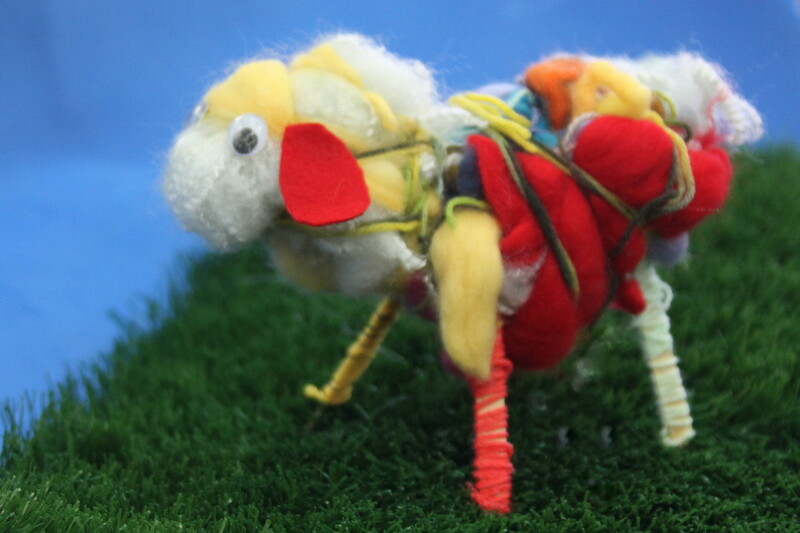 This is Alexander’s sheep who, through the power of the Internet, is now setting out to travel around the World. 4 KK students completed their Scarecrows and took them home yesterday. Before they left for their new lives, minding the gardens in suburban back yards we took their photos to add to our Blog.We are very proud of them. We hope you like them too. There was great excitement for Grade 3 and Grade 4 students (and some stress for my fellow Visual Arts Specialist Teacher, Glenys Vella) recently with the creation of almost 140 scarecrows. Made from crossed dowel, hessian (burlap), calico, stuffing, rafia, felt,fabric scraps, buttons and wool etc, the Scarecrows took several lessons to make but were well worth the effort. Hopefully they will take pride of place in many patio gardens and pots. These are just a few from the 3/4 SV. Congratulations everyone! 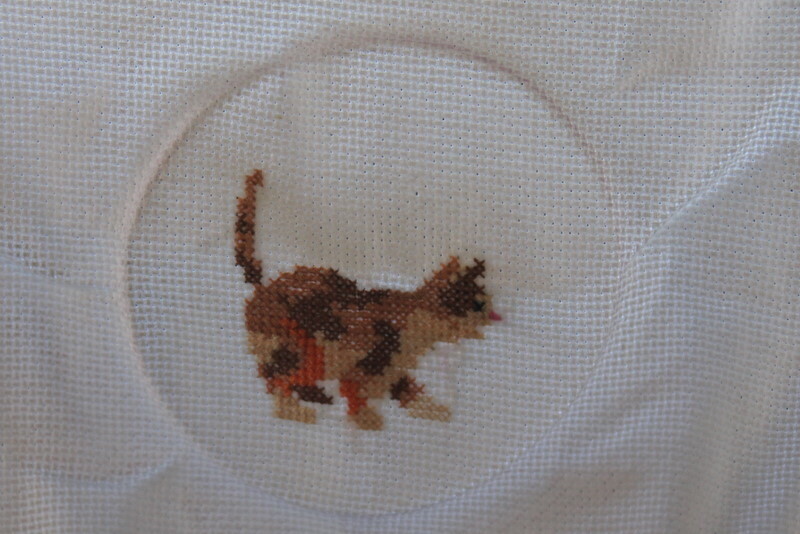 In the rush of the school day with the need to cover the set curriculum we sometimes miss hidden gems such as this cross stitch embroidery by Grade 4KK student, Tamsyn. 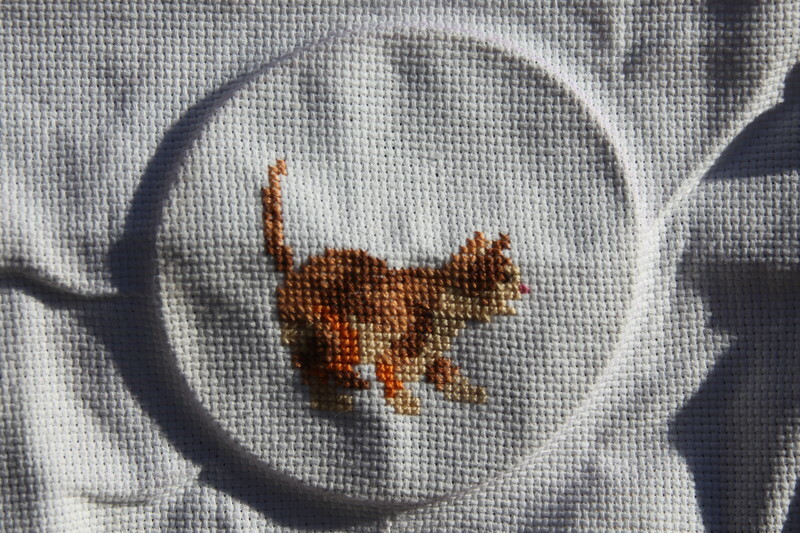 I was pleased to get the opportunity to photograph it in the sunlight and in shade in order to showcase Tamsyn’s talent. When many students her age struggle to tie knots, Tamsyn has shown what patience, perseverance, skill and a supportive parent can do in creating a piece of work which may last for generations. Congratulations Tamsyn. We look forward to your next piece.